An independent report has found that since our launch in 2012, Welsh ICE, has generated a £53 million benefit to the Welsh economy, surpassing the original projection of £36.3m from a similar report in 2015. The 2015 report which was the first to measure and predict ICE’s impact since launching in 2012, found that the Campus had generated a £13.8m GVA benefit to the Welsh Economy. It was also predicted that if the Campus continued performing as it had done, it would go on to generate a further £36.3m, with a possible additional £13.9m if future job estimates were realised. However, the figures from the 2018 report states that, based on the number of jobs created by current ICE members and graduated businesses, Welsh ICE has a current net Gross Value Added (GVA) benefit to the Welsh economy of £53 million across its six years. Thanks to funding from investors including the Welsh Government, approximately every £1 invested in ICE businesses has resulted in a £22 benefit to the Welsh Economy. The report, completed by Social & Economic Research company Wavehill, looked at the number of Full-Time Equivalent (FTE) jobs created by businesses at ICE, as well as analysing surveys and interviews conducted amongst ICE members. “The findings of this report really do demonstrate the hugely significant impact that Welsh ICE continues to have upon the economy, both locally and Wales-wide. 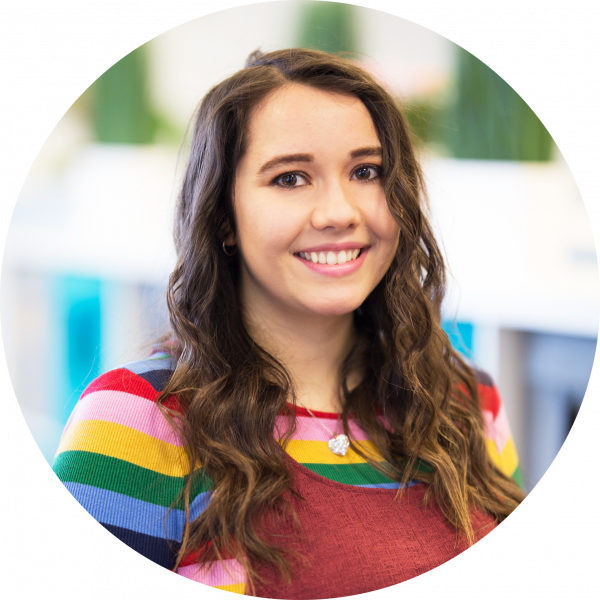 “I’ve had the great pleasure of visiting the centre and some of the many businesses it supports on many occasions, and am always impressed by the level of innovation, support and passion that goes into encouraging entrepreneurship. “We’re extremely proud that Welsh ICE has chosen to call Caerphilly county borough home, and I have no doubt that this success will continue for many years to come”. “The findings of this report are a testament to the hard work of all the business owners, staff and entrepreneurs based on campus. 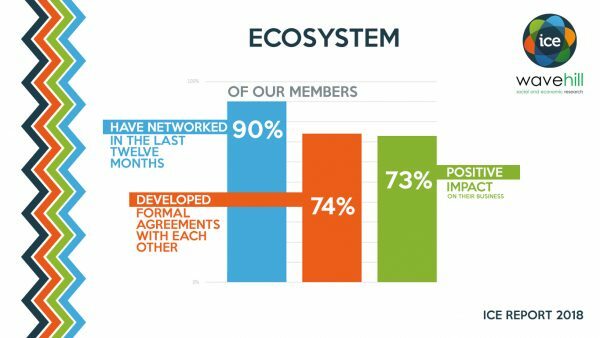 Simply put, the ICE model works and shows that if you build an environment that inspires community and gives startup businesses the right funding and support, they will thrive and create the jobs that have a wider economic benefit. 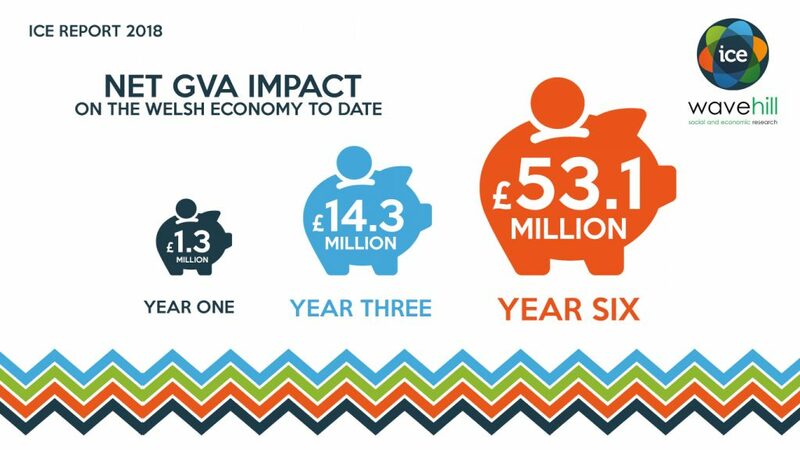 Looking to the future, the report finds that if the net GVA persists for a further three years, then in 2021 Welsh ICE should achieve a cumulative net GVA benefit of £70m+ towards the Welsh economy. This comes after the news that three tech-based businesses at ICE raised over £1m between them in just twelve months. ● Affiliates to the Welsh ICE are predominantly small companies – 61% recorded turnover of less than £50k and 57% have no more than two full-time equivalent staff. ● 73% reported the community environment provided by ICE was one of their main reasons for locating there, followed by almost two thirds citing the facilities as an important factor. 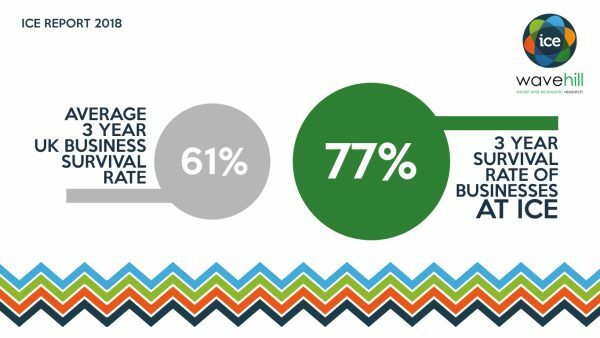 ● 53% do not believe their business would be as successful.